Bridger Ski Foundation regularly grooms these trails that extend through out the golf course and along Bridger Creek. Parking at Bridger Creek Club House. No dogs allowed, or walking on the groomed trails. Voted the #1 Nordic Ski Resort in North America by Cross Country Skier magazine, their phenomenal terrain, dependable snow, incredible guides, and proximity to Big Sky Resort and Yellowstone National Park, make for an unrivaled Rocky Mountain winter vacation experience. 85 km of groomed trail. The U.S. Forest Service grooms these numerous trails around Hyalite Lake. Grooming is intermittent. Levels of difficulty vary. Parking in Hyalite Day Use parking lot or Blackmore Parking Area. Dogs and Pedestrians are allowed. These trails sit next to the hospital and see the most activity with skate skiers. Please be respectful when skiing in Highland Glen Nature Reserve. 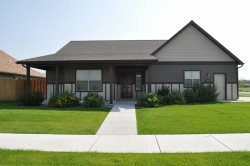 It is private land, access which is made possible by Bozeman Health. Parking at the softball diamonds Highland Boulevard. Just minutes south of Bozeman, this trail runs along Bozeman Creek. It is groomed regularly and allows for pedestrians and dogs. Head all the way up to Mystic Lake.